Downfall is a 17ft Boston Whaler Currituck Sport with a blue Bimini shade top, fitted with classic varnished mahogany interior. She’s a beauty! 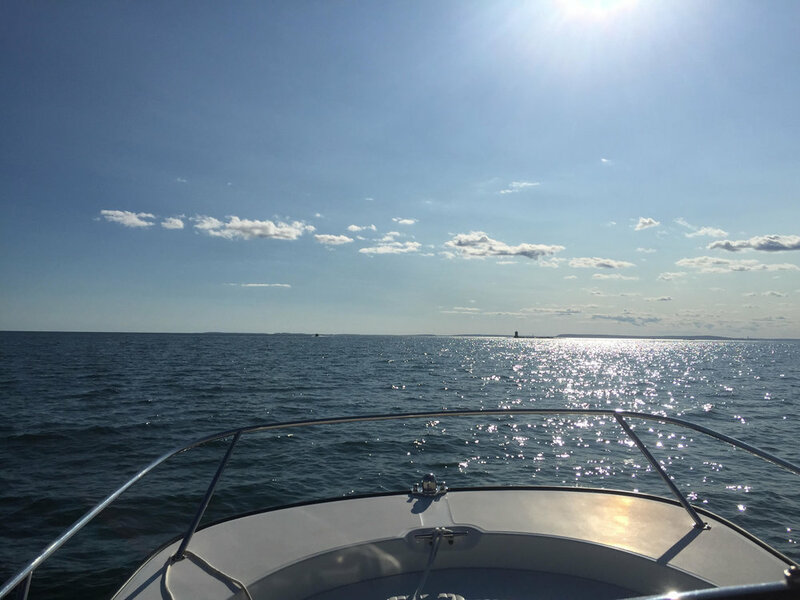 The ultimate luxury for island hopping around Penobscot Bay. 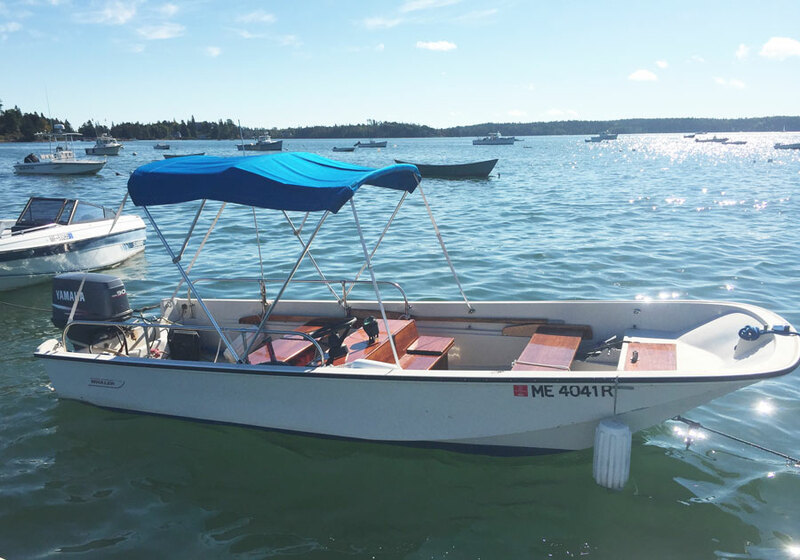 Stable and comfortable, with plenty of seating, powered by a 90hp Mercury motor.